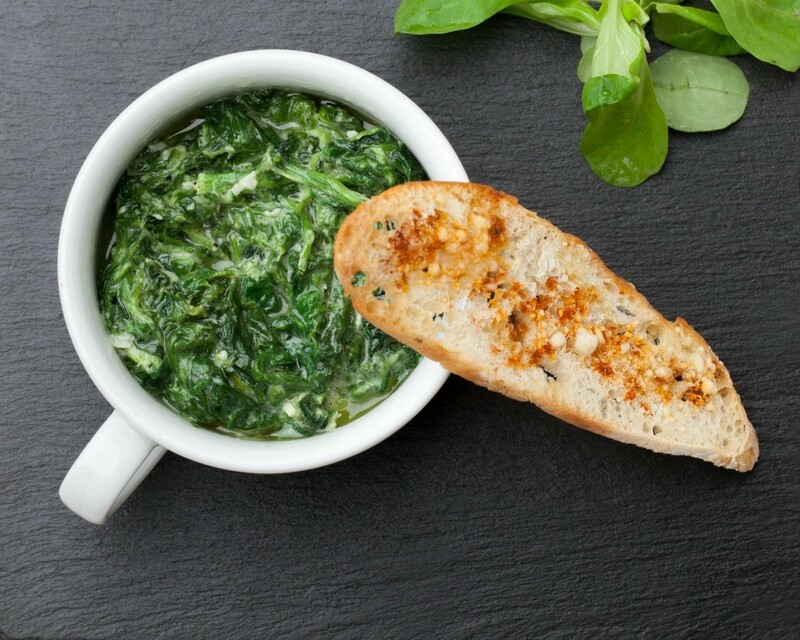 Spinach sauted with a bit of garlic makes a delicious side to any meal. This is a guide about garlic sauteed spinach. This is a quick and tasty dish for two. Heat olive oil in a large skillet over medium heat and saute garlic and almonds for 1 minute. Add half of the spinach and cook, stirring constantly, until spinach has wilted; add the two tablespoons of feta and remaining spinach and cook, stirring constantly, until spinach just begins to wilt and serve garnished with additional feta. This is the recipe I used to serve with the Smoked Gouda Filled Pork Medallions. Heat oil in a large skillet over medium low to medium heat, add garlic and cook until softened but not browned, about 4 to 5 minutes. Raise heat to medium high and start adding spinach by the handful, tossing constantly, and continue to add spinach by the handful as the leaves wilt. When all of the spinach is wilted, about 4 to 5 minutes, remove skillet from heat, season with salt to taste, toss well and serve.